1. This is a FREE festival for kids. I love finding free events like this for the whole family where we can have fun and making memories but not have to spend money. 2. Fun activities for kids. 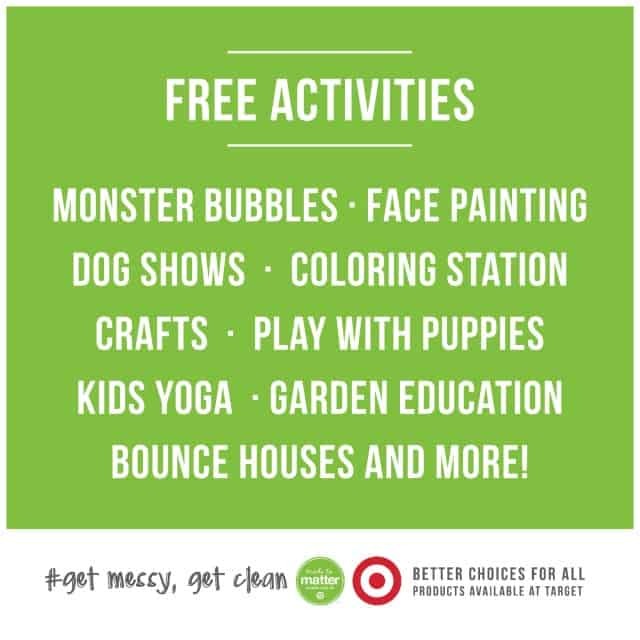 Your kids will have so much fun at the Get Messy, Get Clean family festival going activies like painting pots, planting seeds, kids yoga, bubble activities, face painters, bounce houses, Monster Bubbles, dog demonstrations, puppies for adoption, coloring, and soccer games. 3. Free samples. Each guest will be given an Made to Matter bag upon arrival to the festival. Different brands attending the festival will be giving out samples for guests to try. Better choices for those fun days in the sun! Better choices for those hungry bellies after a morning of chasing bubbles! Better choices for clean little hands after an afternoon playing in the dirt! 6. Food Trucks. I love food trucks! You can take a break from all of the fun and play and enjoy some yummy food from the food trucks. 7. All Day fun! This festival lasts from 10am–4pm, this Saturday, July 11th! 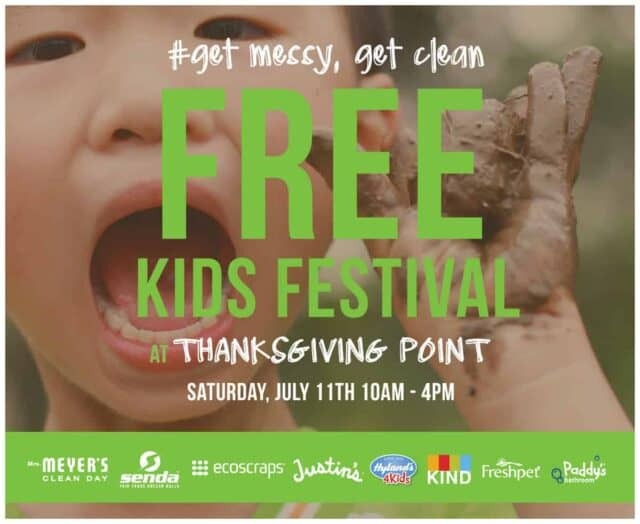 Join us at Electric Park at Thanksgiving Point for some “Get Messy, Get Clean” fun!! The “Get Messy, Get Clean” Family Festival is located at Electric Park at Thanksgiving Point, this Saturday, July 11th, 10am–4pm.